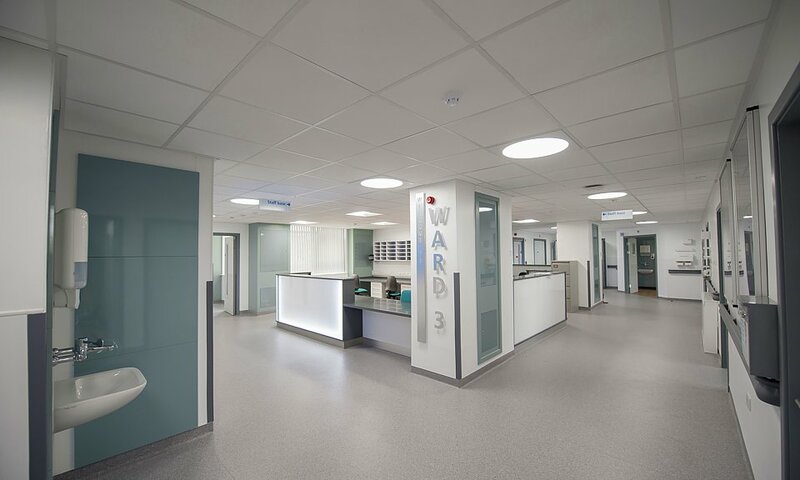 We are delighted to have been successful in securing the 2017 lighting refurbishment at Weston Park Hospital as part of their £7m plan to modernise the Sheffield Cancer Hospital wards. Weston Park Hospital opened 45 years ago and is one of only four dedicated cancer hospitals in the country, providing chemotherapy and radiotherapy treatment to thousands of patients around South Yorkshire and beyond. 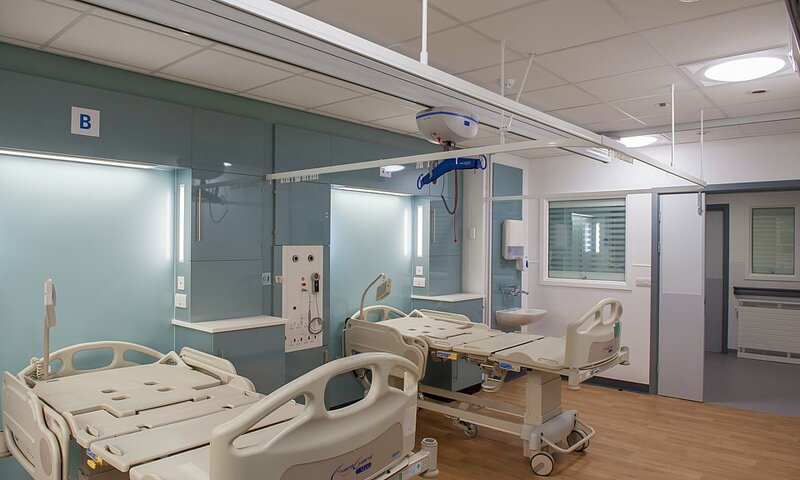 We were asked by JSH Consulting in Sheffield to provide a full tunable white lighting design solution that would enable Weston Park Hospital to continue offering 'high standards of care' in a modern environment. 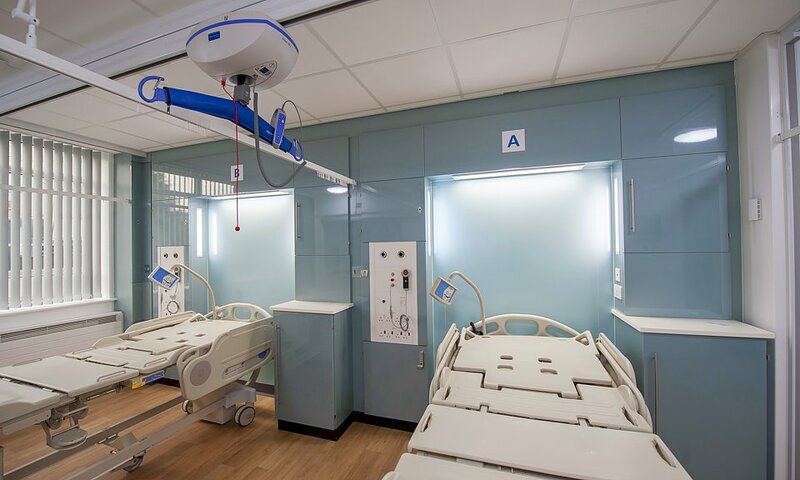 Here at Apollo Lighting, we have a wealth of experience and a long-standing history of designing and providing specialist lighting for healthcare environments and were therefore able to offer a Human Centric lighting solution for single and multi-bed wards that would promote well-being and maximise the influence of light on a patient's daily life. Using tunable white LED technology provides more than just illumination — it has a profound effect on the human body through a combination of light quality, colour and intensity. The effect of light on our biological clock is crucial as it influences many aspects of our physical and emotional well-being, and those spending significant amounts of time under static lighting conditions are at increased risk of their biological rhythms being disrupted. The Apollo Lighting tunable white system allows you to automatically mimic daylight patterns by adjusting colour temperature and brightness levels with respect to the time of day. Correlated colour temperatures from warm white (2700K) all the way to cool white (6500K), follow the natural cycle of daylight and have a strong impact on the timing and strength of the circadian sleep-wake rhythm. 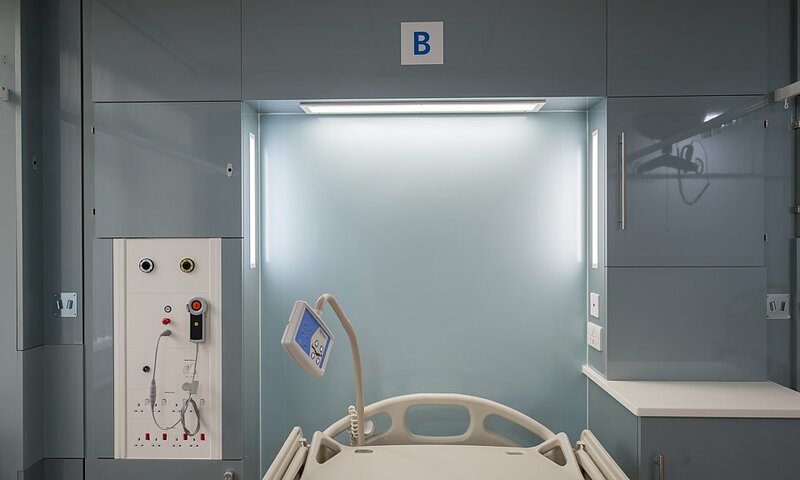 The use of our Sleeplite in the ward and bathroom areas provide a balanced plan for night time illumination. Ageing patients need to rest but must also be able to get to the bathroom without falling. The use of the SleepLite provides an amber illumination to help increase safety without disturbing an incumbent patient's sleep process. Further images from this installation can be found here.